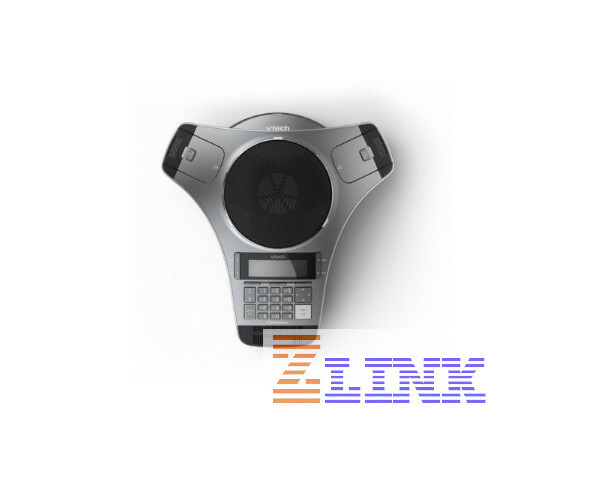 The Vtech VCS762-2W Conference Phone uses DECT technology for a completely wire-free solution allowing you to easily place the conference phone and its two wireless microphones anywhere you would like. The VCS762-2W features wideband audio with up to 12 hours of talk time, or 24 hours when not on wideband. 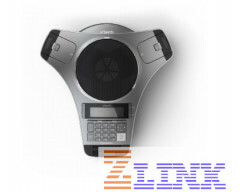 The VCS762-2W is a SIP Dect System that is convenient and reliable. A full-duplex speakerphone, two wireless mics, and HD voice quality are just some of the key features offered by the VCS752-2W. This solution includes a SIP DECT base and docking station to charge the phone. As for the two wireless mics, simply place them in the phone's built-in charging bays to get them ready for the next call. Use only the conference phone for small-to-medium meetings, or if you need to accommodate a larger meeting, simply add the VCS850 SIP DECT expansion wireless speakerphone and now you can add more active participants.